I offer three different main packages in my Central Park wedding planning business, with the options to add in other services, such as professional video, or flowers. Couples can book their wedding photographer through me, and I will secure their date with one of the experienced, knowledgeable and talented photographers I work with. 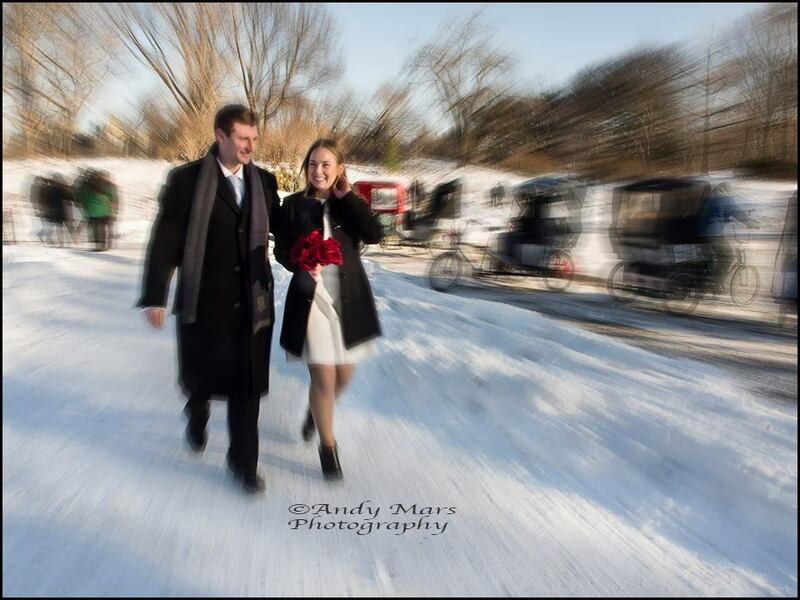 Or couples can book their own photographer from the vast choice of photographers that New York City offers. Some couples do this to try to find a better deal, some are willing to pay higher prices to get the photographer than they feel they have a connection with. Some couples choose to have no professional photographer at all. 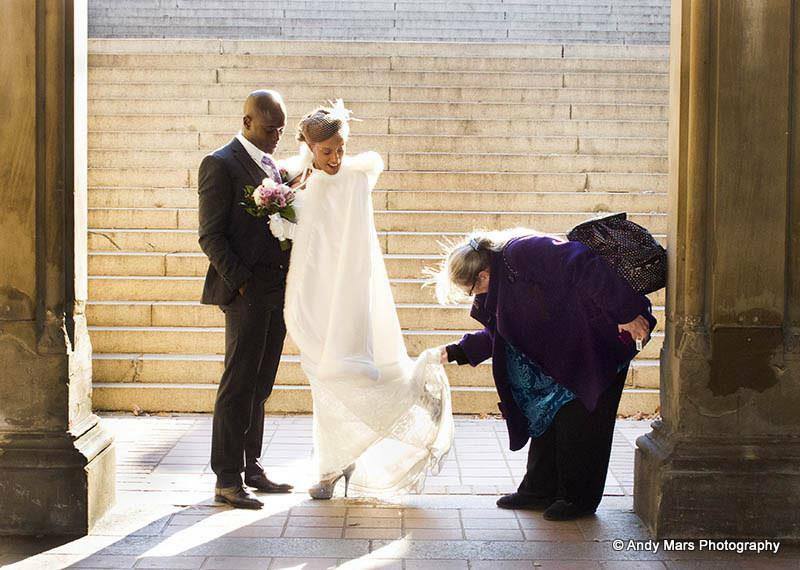 By choosing to get married in Central Park, couples are already breaking with tradition, and it is their special day, they can do just as they like. But I personally feel that if a couple has paid for flights, hotel, all the costs of a wedding, and all the costs of travel in general it does seem an awful shame not to document the once-in-a-lifetime event with a collection of professional photographs for a little extra money. 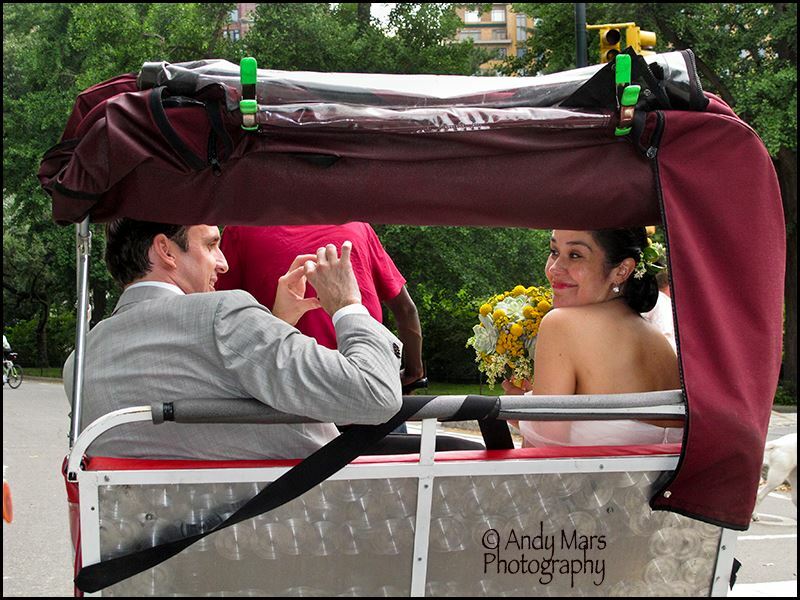 I asked New York Photographer Andy Mars what she thought of this, and here are her top ten reasons why you should invest in a professional photographer for your Central Park wedding, or for any wedding, anywhere, in fact! A professional photographer will know what camera settings are best for a particular moment. For example, when and how to get the background blurry, and the bride and groom in focus. 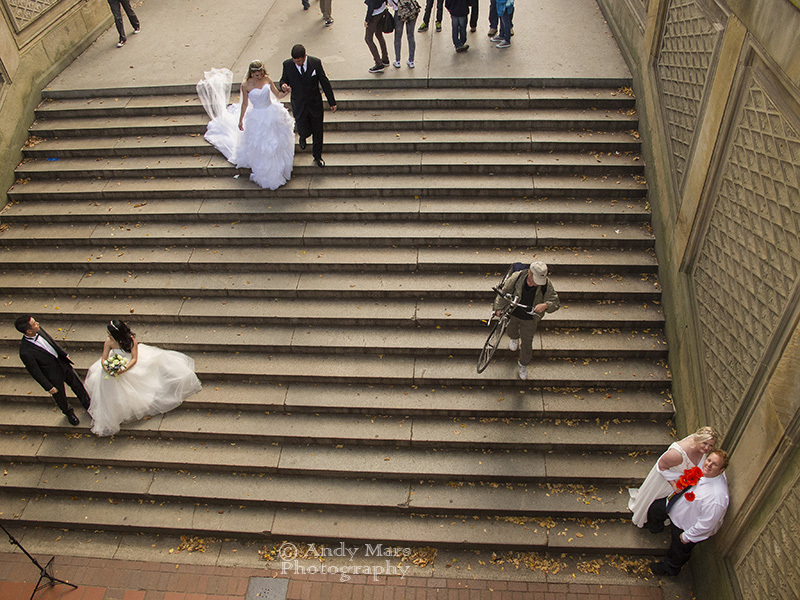 Another example is when the bride throws her flowers in the air; how to stop the action using a fast shutter speed. Many amateurs use Auto Mode on their cameras which means no control over the outcome, for example; silhouettes when they do not want them (the camera’s meter will take the average light setting, so when the background is very bright it creates a silhouette). Lighting the subject (the best photographs often require the addition of flash for fill light to eliminate the distracting shadows on faces – most amateurs wouldn’t know how to do this properly). Professionals are able to get the job done when weather is a factor. A professional photographer carries at least two cameras; an extra or different mm lens, flash, extra memory cards and batteries. You never know when a single camera will fail. A professional photographer uses a numerous variety of angles and artistic composition. There are funny and moving moments only a professional will capture! 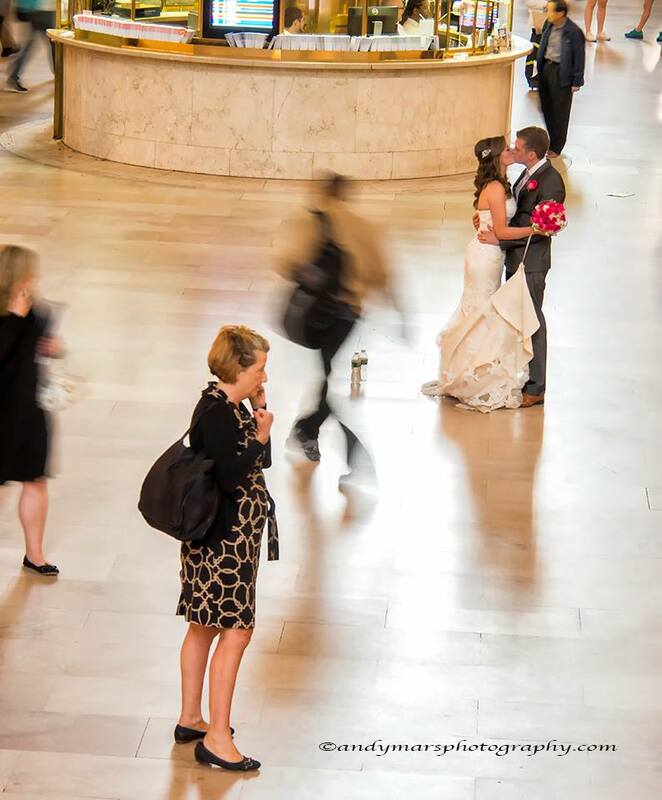 Professional photographers know how to pose the bride and groom without distracting backgrounds. Professional photographers know exactly how to take uncontrived photos and also not to miss the important moments in the wedding. This is essential, it includes editing the best photos, retouching, and changing exposure, shadows and highlights to make everyone look their best. This can take many hours to perfect each image. Professionals always make two to four back-ups of the wedding photos and keep the files, on different external hard drives. They also have one of the back-ups off site such as on an online site in case of fire or computer malfunction. Professional photographers know how to organize and edit photos using professional software. One client asked if I could take out a distracting line on her back. Done with a click of a button! It takes longer to smooth small lines on the face but always keeping the image looking natural. We can turn your photos into works of art with texture, collages, vintage style imagery and watercolor painting special effects. If you hire a professional photographer you can enjoy your wedding without any concern that the job will get done just as you expected. It may not be fair to expect your guests to spend the whole day taking photos, and in many cases they may not be the most qualified people for documenting one of the most important events in your life. What are your views? Do you have any other reasons why a professional photographer is necessary on you wedding day? Or did you choose not to have one? What were your reasons? 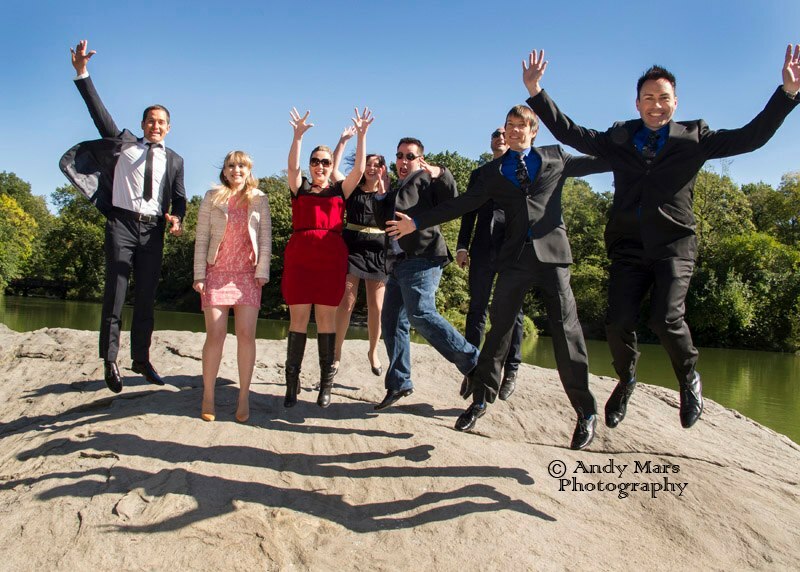 This entry was posted in Central Park, guest post, New York, wedding advice, Weddings and tagged Central Park, New York, photography, wedding photographer, Weddings. Bookmark the permalink. 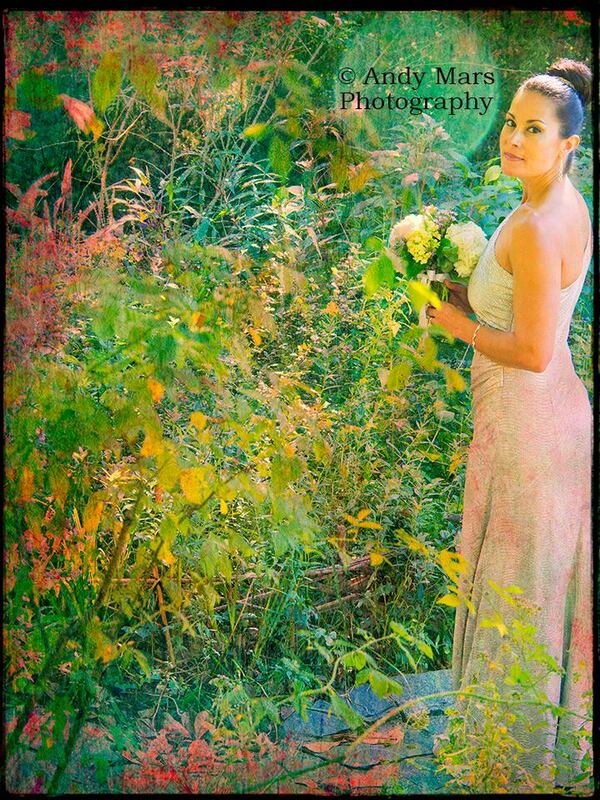 Here are some excellent tips and beautiful photos from Central Park Wedding planning. You make the case so convincingly! You must be a fabulous wedding photographer! This is really a nice post about the central park wedding planning. It’s amazing.